Because of legal and practical reasons, the paper archives of SMEs are growing rapidly. Your digital data are becoming increasingly important. 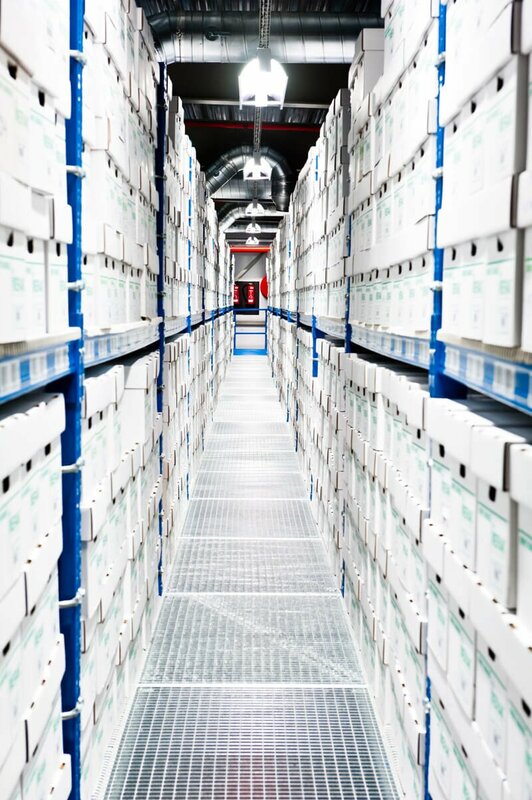 At Merak you can store your archive under the best conditions, without having to make large investments. Thanks to the practical search functions of the Merak inventory tool managing your archives becomes easy. Our automated systems guarantee a perfect climate. Our air filters remove dust particles down to 0.5 micron. Our lighting contains a minimum amount of UV light. And the humidity and temperature are continuously monitored. An offline backup is only useful if it is carried out regularly. Merak will give you advice and assistance when setting up a seamless data recovery plan. Together we will review your IT risk and draw up a suitable planning for the procedures. Merak will accurately carry out the backup rotation schedule. You can adjust this planning at any time. The Merak archiving experts will also help you increase the efficiency of your data flow. With a detailed analysis and a ready-to-use plan of approach, Merak will be saving you money and time, and your employees will be working more comfortably. At Merak you do not pay a fixed fee, only the volume used for storage (your storage capacity) and the services you have requested for this volume. Data storage and management are the principal activities of Merak. This is why all actions are carried out extremely efficiently. In this way we can offer you a high quality service for a low price.